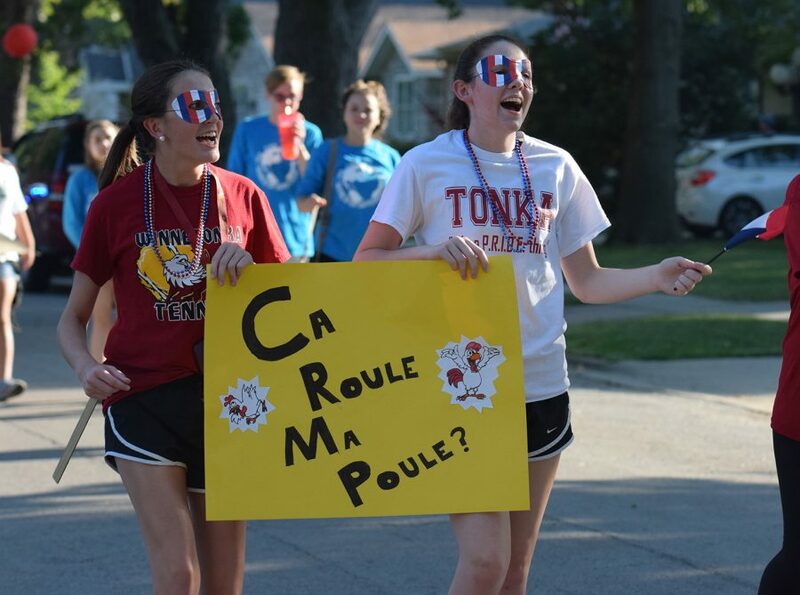 Sophomores Emma Jameson and Maggie Williams walking in the homecoming parade with the French Club on Sept. 23. What does French Club do? French Club learns about the French, their country and their lifestyle such as eating habits and everyday life activities. What is the funniest thing that has happened? “When the Brighton Bridge was closed down, we had a little French Club get together at Happy Rock Park and it took our teacher (French teacher Erica Stones) almost two hours to get there because of the detour so when she got there she could only stay for 30 minutes,” sophomore Sutton Ward said.